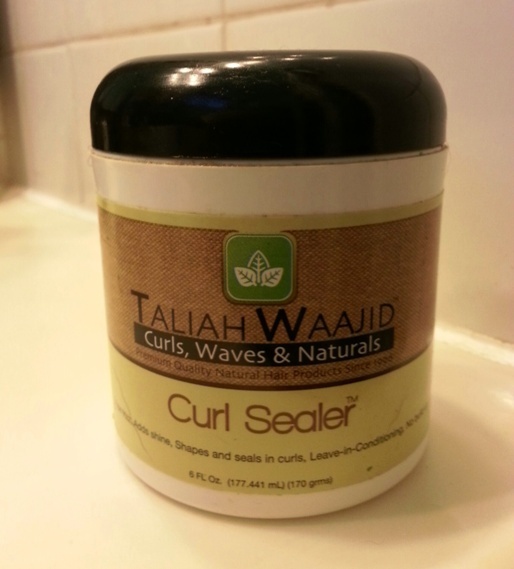 Another product I had picked up at the Toronto Natural Hair & Beauty Show and was excited to try (for you, not because I’m a product junkie) was the Taliah Waajid Curl Sealer. I had heard a lot about this product line, and for some reason never picked it up before when I’ve seen it. 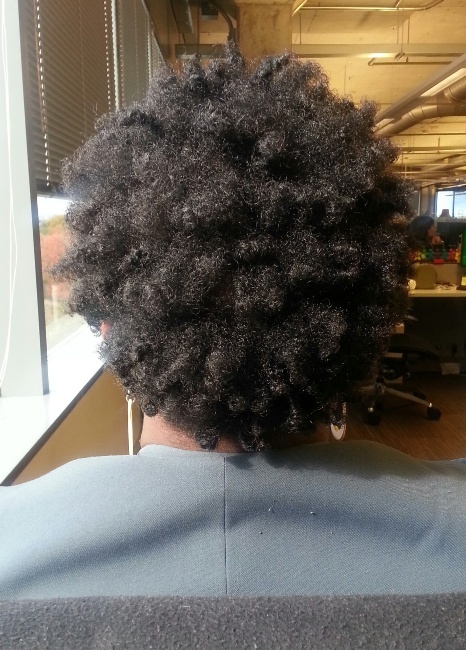 So when the girl at To The Root stall suggested it after I asked what she’d used on her twist out…. And here we are! It’s always a great sign when the first ingredient listed is water – the hair and body’s best moisturizer. It also contains glycerine, polyquaternuim 10 and peg 14, polyquaternium 37, dmdm hydantoin, yarrow extract, jua extract, lemon extract, wild mint extract, soap bark extract, polysorbate 20, fragrance. It is very light and not at all sticky. It has the consistency of a gel. It smells like yummy lemon and leaves your hair smelling clean. Actually, the smell kind of reminds me of 7-up. I washed and deep conditioned my hair (using my Huetiful as always) then applied Earthtones Hair Butter for added moisture. 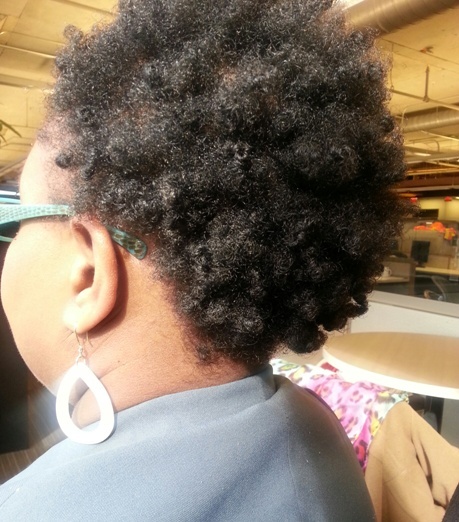 I then applied a small amount of the Taliah Waajid Curl sealer to each section then two-strand twisted and bantu-knotted. The curl definition definitely held better than some other products I have tried. My hair tends not to hold any definition very easily, so I started using this product while being very wary it would work. I was pleasantly surprised! It also didn’t leave my hair feeling heavy and “gunky” which of course was also nice. I like to use this in between washes to retwist. Have you used this product or any Taliah Waajid products? What did you think? Your hair has definitely grown a lot since removing your dreads. It looks healthy and thick too! Yay! I’m really loving that I’m noticing that when I’m styling it… I made the right decision. 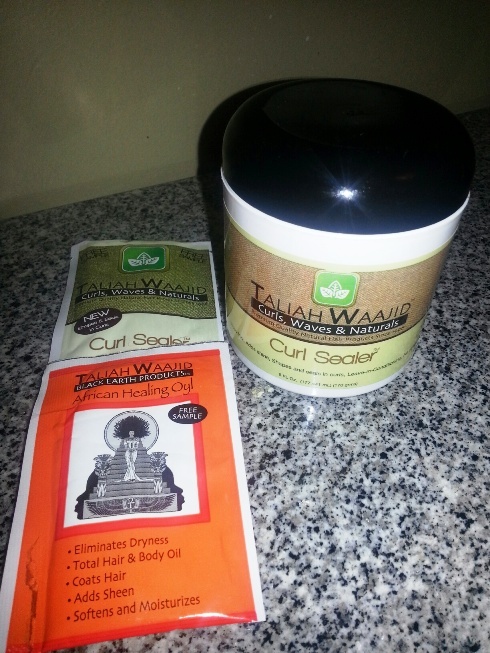 I just brought this product recently today after work and thought I’d kill some time by going to Ponia’s African boutique to buy those cute earrings but then after looking around to get to know what more I want, I saw the Taliah Waajid cream and sealer and then the Cantu shea oil sheen deep conditioner. I brought the sealer and after walking out of there by looking at the product, I was disappointed that it was for 3a-3c hair types. I was not trying to buy a product that does match my hair type and I’m 4C so I had to search google to see if any 4C hair chicks have tried this/using this on their hair. Surprisingly, some are so I will try this on my hair to see how it works. My twist outs and braid outs come out great but I wanted to try a product that is different.